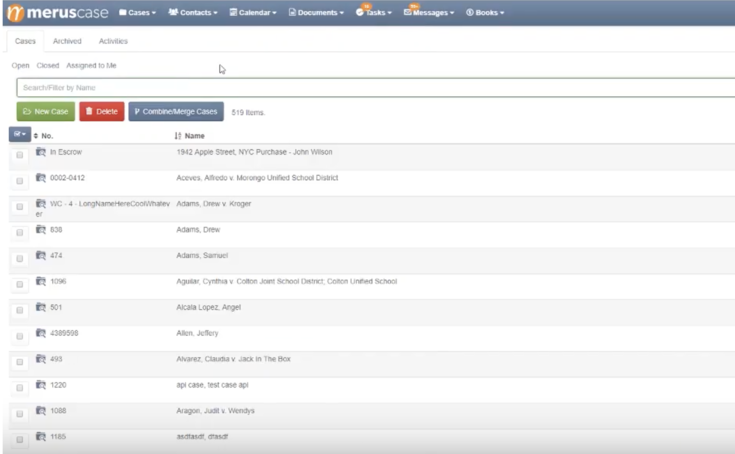 Organize case files in a way that is easily searchable by allowing you to tag documents and sort by a case-by-base basis. 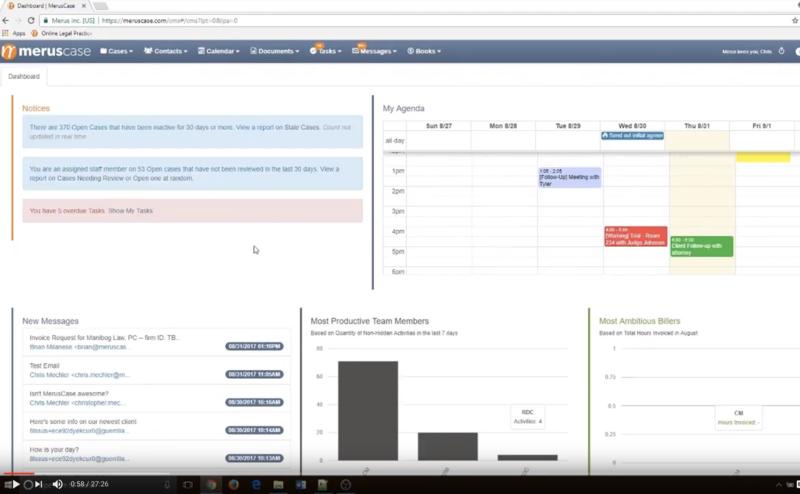 Link all your case files to a calendar event or email so you always have your files there when you need them the most. 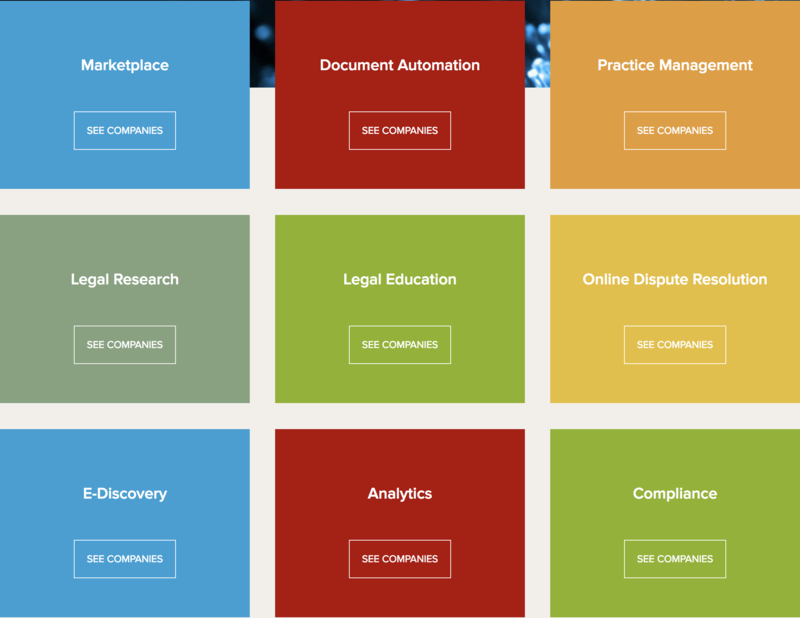 Figure 1: MerusCase helps law firms organize and manage their case files. Enter information once, and it auto-populates everywhere. Figure 2: The MerusCase dashboard provides an overview of the health of your law firm. Have you thought about hiring an contractor or using a vendor for your business? If so, there are certain documents and agreements you need to fill out in order to protect yourself. 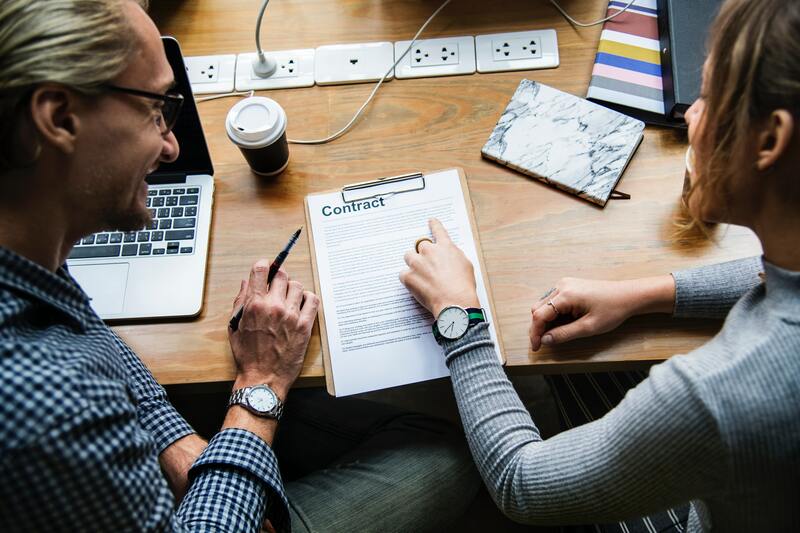 Confidentiality agreements and non-competes are just two types of contracts that a lawyer usually needs to look over. Even though a lot of work is done through email, email is unencrypted, and not a secure method for transferring confidential information. In addition to being unsecure, back and forth between emails is just tedious. When you're dealing with sensitive information, email encryption is a necessity. Email encryption solutions, such as MerusCase's HIPAA Compliant Message System, store emails on an encrypted server. They require users to log in, in order to retrieve messages sent through their portal. A contract management system has message encryption capabilities, but they do way more than that. In addition to encryption, contract management software also highlights the portions of a contract that require further examination. 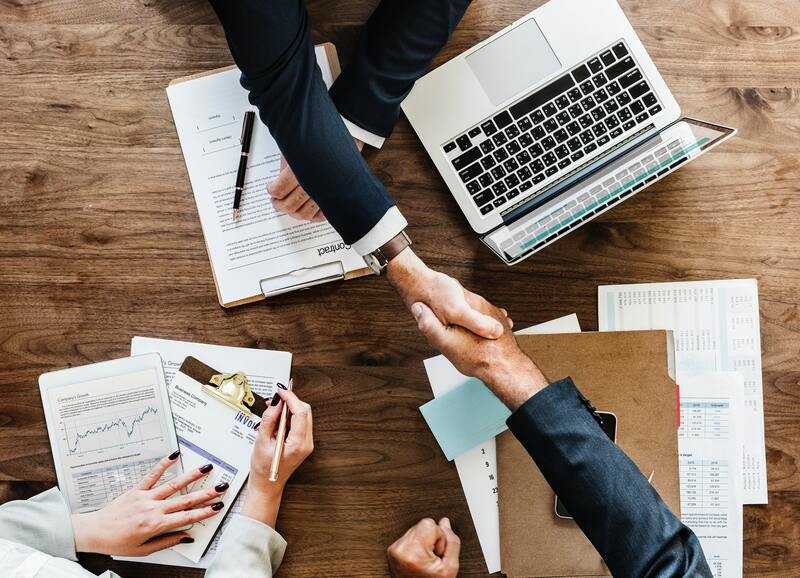 Many in-house legal departments also use contract management software to ensure compliance with laws and regulations, and internal company policies. Managing a contract is no longer just about getting a contract signed, but monitoring the entire contract lifecycle. As contracts are tied to projects, by improving the contract management process you are improving a project's outcome as well. Contract management software can help with this. Need a contract management solution? Here are a few recommendations. Figure 3: Homepage of CodeX TechIndex, Stanford's list of Legal Technology companies. 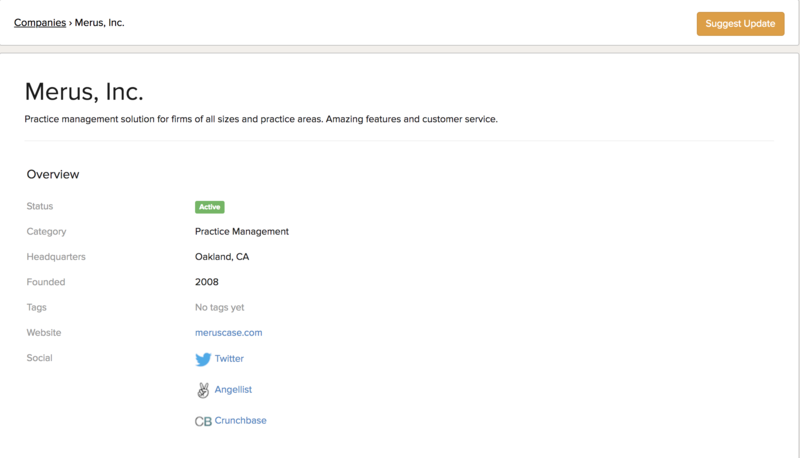 Figure 4: Merus, Inc. is listed in the TechIndex, under "Practice Management". Every day more and more businesses are startups, and every day more startups are founded by millennials. Millennials want different things from their legal service provider. The companies listed in each bucket (Figure 3) might be changing, but the buckets remain the same. Maybe you even use some of these tools now. If you're a law firm, more of your clients will be finding you on platforms in the "Lawyer Search" bucket. Are you aware of the companies listed in the "Online Legal Services" bucket? Your clients probably are. There is a good chance they are using, or thinking about using, their services instead. Regardless of what you think, disruption is here to stay. What services do you offer that can't be automated? What risks are your clients mitigating by coming to you for legal advice instead of just relying on the general advice that they read online? What value do your clients want that they're not finding with you, causing them to search somewhere else? At the end of the day if you don't have what clients want, they'll go elsewhere. Agree or disagree? Please leave a comment below. See also: What areas of legal tech are ripe for disruption?